Here at ABC Signs’, as we work on our own goals for 2018, we thought it would be the perfect opportunity to connect with our customers about theirs. If you’re looking to improve upon your business’ signage this coming year, then it’s time to take a look at our top strategies to attract your best customers. Are you looking to increase traffic to your website? Your business signage is meant to be easy to read, and attract passerby to your business or organization, amongst many other things. However, you can also use it as a platform to attract users to your website. If you’re proud of your website & want to attract more folks to your online presence, a digital sign is the perfect way to incorporate your business’ URL. 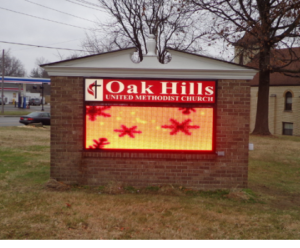 Oak Hills United Methodist Church could consider adding their website URL to better communicate with their congregation. Would you like to increase brand awareness? Increase signage outside of your place of business to draw them in! 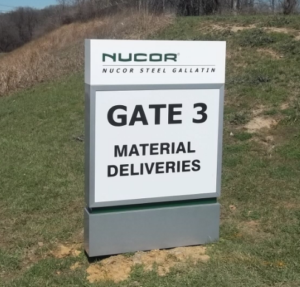 Get noticed with large and visually pleasing ground-pylon signage. Ground-pylon signs create a great impression by conveying the prominence and permanence of a business. By design, ground-pylon signs are constructed to withstand the threat of weather and the abuse of outdoor elements. These signs are impressive, solid, stable, low maintenance & affordable. Are you wanting to increase sales? Consider neon signage for your business! Neon signs are one of the most recognizable signs available. They are made from glass tubes which are filled with gas and phosphors used in combination to create a brightly-colored light. Neon signs are available in several striking colors and are a great way to get noticed. Is your goal to direct people to your business? Install directional or ‘wayfinding’ signage and make it easier for potential clients to find you. At ABC Signs, we specialize in directional signage to allow your customers to find you easily & quickly. Is it time to start attending more trade shows or expos this year? Many of our customers partake in trade shows or expos all over the country! It’s our job to make sure they have the most exposure! 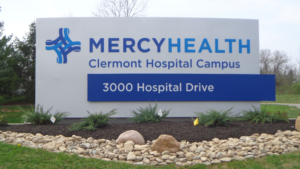 ABC Signs works closely with you to develop effective designs, proper distance visibility & appropriate contrast and color to get the most out of your new signage. Get noticed at your next business’ expo with eye-popping signage.